Cody Bellinger saved the Dodgers. Alex Wood saved the Dodgers. Corey Seager saved the Dodgers. Logan Forsythe saved the Dodgers. The Dodgers season looked like it was over, until it wasn’t. They got off the mat. They responded. They won game four in Houston against all odds. 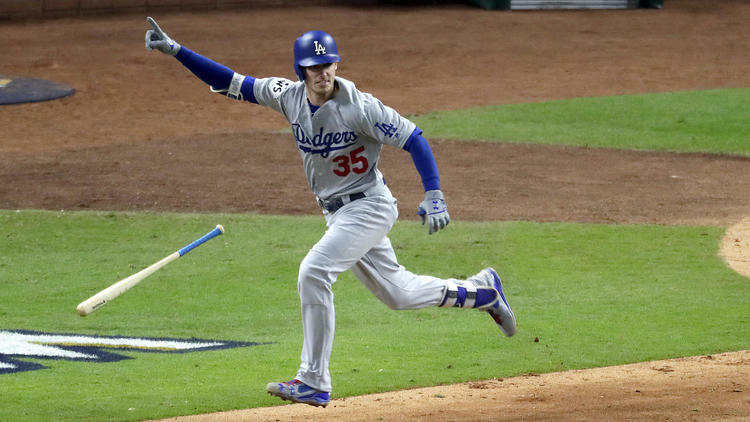 Cody Bellinger busted out of a huge slump to become the first rookie ever to have two doubles in a World Series game. The first put him on base so Forsythe could get one of the biggest knocks of the series, a two-out single that scored him to tie the game at 1-1 after a George Springer home run that gave Houston a 1-0 lead. The next double Bellinger would get, was undoubtedly one of the biggest swings of his life. It all started when Corey Seager hit a first-pitch center cut fastball through the shift for a single. Then Justin Turner walked, and Cody Bellinger ripped a double to score him. From there, the wheels came off. Joc Pederson’s three run homer made a 3-1 lead a 6-1 lead. Alex Bregman homered in the bottom of the inning off Kenley Jansen, but it will be remembered with little fanfare by anyone not named Alex Bregman’s mom. You just have to give the Dodgers so much credit for how they have battled in this series. I’ve watched baseball a long time, and most teams would have folded at that point down 1-0 and having to face the likes of Chris Devenski and Ken Giles. Charlie Morton was throwing absolute smoke. But the Dodgers simply found a way and won ugly. I was inspired by the way that Alex Wood threw the ball last night. he carried a no hitter into the middle innings of the ballgame and allowed just one hit all night. He gave the Dodgers the chance to win this game, unexpectedly. The Dodgers try to take a series lead on Sunday night in the Houston finale with Clayton Kershaw on the mound.